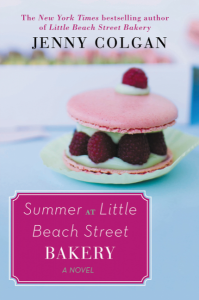 Summer at Little Beach Street Bakery, by Jenny Colgan (@jennycolganbooks) #review #tlcbooktours by Melissa Bartell is licensed under a Creative Commons Attribution-NonCommercial-ShareAlike 4.0 International License. I love lighthouses from from watching Pete’s Dragon (the Disney movie) as a child. Such great memories!